Gold: Gold futures prices are continuing last week’s momentum at the early Globex by gaining $5 from previous closing. The Asian equities are trading mostly at a weaker note after Chinese industrial profit fell by the most this year. But again the Chinese Premier Wen Jiabao hinted for further accommodation as the economy’s weakness is deepening. Thus, hopes of easing from the global central banks are likely to keep gold buoyed for the day. Gold investment holdings rose 0.92% to 1286.50 tons last week, highest since March this year, would have also supported the metal to grow. From the economic data front, the German IFO numbers are likely to be weak while the US Dallas Fed manufacturing is expected to revive a bit but may still remain on a negative territory. This is although likely to keep the Euro under strain, market may closely watch the week end’s Jackson Hole Symposium, which may provide a clue on how the global central banks see economy and what are the further accommodations it can provide. The Fed and ECB President’s speech may guide market movements and the event may turn out to be the most important of the week as both President Bernanke and Draghi are going to meet. Said above, we could expect gold to stay strong for the day and hence we recommend staying long for the metal from lower level. 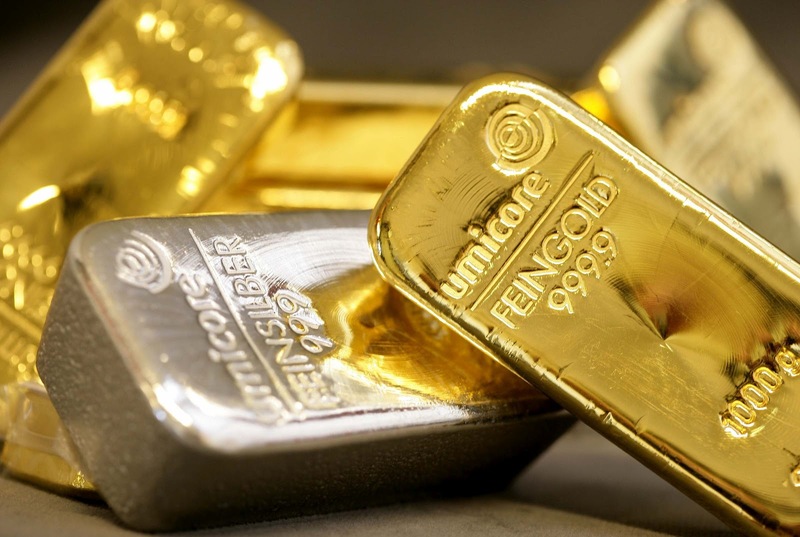 Silver: Today morning silver future is seen on a continued momentum by gaining near 0.35% at the Globex despite the Chinese industrial profits fell the most in this year. However, prices would have been supported as the Chinese Premier Wen Jiabao hinted for further accommodation as the economy’s weakness is deepening. Thus, hopes of easing from the global central banks are likely to keep silver buoyed for the day. Although the Asian equities dropped after the Chinese data released, the news of accommodation may help prices to remain strong. Reports from the US Dallas Fed may show a slight improvement in manufacturing in evening which may support silver. Nevertheless, weak IFO numbers from Germany may put slight pressure on the metal. Besides, this week is likely to be dominated by anticipation of Jackson Hole Symposium, which may provide a clue on how the global central banks see economy and what are the further accommodations it can provide. Therefore, prices are likely to remain buoyed. Said so, we recommend staying long for the metal from lower levels.